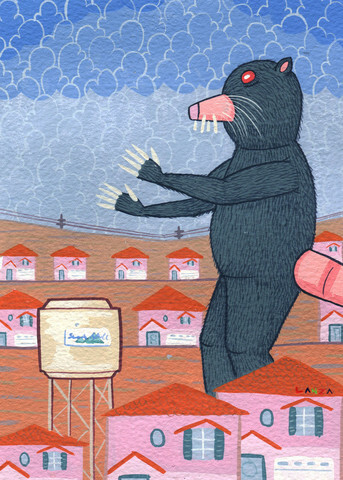 "Destruction of Sudden Hill: The Mole" by Gabe Lanza. From this summer's 1988 Arrested Development art gallery. Wallpaper and background images in the Arrested Development club tagged: arrested development art gallery tobias. This Arrested Development fan art might contain sign, poster, text, chalkboard, anime, comic book, manga, and cartoon.